How do you pick your next read? For a long time, I had the psychic ability to feel which book was "calling" to me from the shelves. I listened, I looked, I picked up the book and nine times out of 10, I read the whole darn thing without any issues. These days, picking books is not so simple. While I may have a chorus of books calling to me from the shelves--and I swear, I don't hear voices...not really--they may or may not work for me. The whole dang chorus is a crapshoot. The trustiest method is the taste-testing method I mentioned in a recent post. I pull the chorus of calling books off the shelves, I taste-test 10 or so pages, and I see what happens. Last week I reported that The Night Guest, by Fiona McFarlane, was the book that passed the taste test. That's true, but it only passed the initial test. It didn't really stick. I didn't want to dig in with my whole face. This weekend I seem to have found a taste-tested book that's the real deal. A book I want to gobble. It's hard to pinpoint what "works" in my reading at any given time. Right now it's a completely magical and unknown equation. I just have to try and see. And I sort of get that feeling from this book...a sense of wonder, ambiguity, and wackiness. Maybe that's why it works...it's as nebulous as my own reading moods. 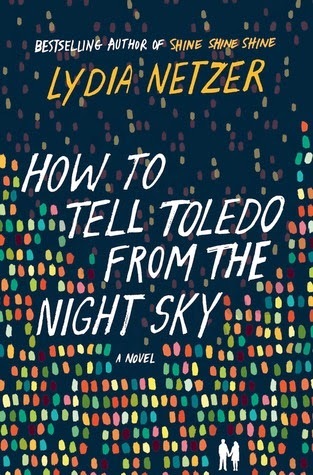 How to Tell Toledo from the Night Sky, by Lydia Netzer, had me at page one...this time. I've taste-tested it before to no avail, but for whatever reason, this time it's "the one." The story is odd. Two astronomers whose lives were orchestrated by people and forces beyond their control. One sees the inexplicable around every corner. The other is a staunch pragmatist. The whole time I'm reading, I'm completely involved in the weirdness surrounding these characters, and I can hear Lydia Netzer smirking under her breath from somewhere out there in the ether. There's just no telling what she has in store for me next. Now, tell me. 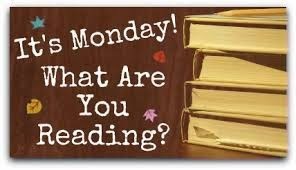 How are you picking your books? Does your method change depending on mood? 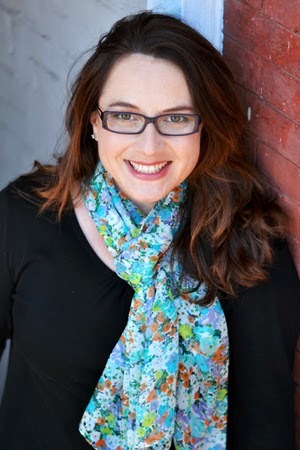 Hosted by the lovely Sheila from BookJourney! My method off course does not apply to Galleys, since those I just read depending on the publication date. However, it does apply for selecting which galley to ask for. There is part of listening to the book, sure, but the first thing that hits me is the looks of the book; superficial for sure, but for all my historical fiction it has worked so far 9/10. Also it will depend on the events I am participating as the moment. For example I wanted to continue the Xenogenesis series, but knowing that Diversiverse was happening I kept it to red during those 2 weeks, and the same thing happened to "scary" books for R.I.P IX. There's lots to consider! And I'm right there with you in regards to the looks of books. I'm a total #coverho and a lot of the time that steers me right! Lately, I choose off of my ARC list but I am not reading them in release order. I am picking and choosing what sounds good to me. Which doesn't make for a timely review but so be it. I don't want to hit the rut I did last October where the reading literally ceased! I saw that Netzer book but I did not like her last book so I have been hesitant. Yeah, I'm not strict enough to read them in release order. It never works for me. Well, rarely anyway. Sometimes I can stretch them out so they're few and far between enough that pub order doesn't bother me. No burn out! LOL, Andi! I was at a bookstore a couple of weeks ago and saw a bib that said "I devour books: literally." I wonder if I could get you a t-shirt that says "I devour books metaphorically with lots of tasty references." LOLOL! Three cheers for tasty references! I'm definitely a mood reader but I don't always pick the right book at the right time. I'm glad to see this book is so good - Netzer is charming! Yeah it takes a few tries for me. Like this week. Hmmphf! Totally loving Netzer. Now if I could just get my mind off work! Lately I've just been picking whichever upcoming galley sounds the best at the moment. Sometimes it doesn't work, and then I set it aside for something else. This just happened with Liar Temptress Soldier Spy -- great premise, but not pulling me in -- so I'm taking a break to read Stone Mattress, which is really hitting the spot. I'm glad you're enjoying Stone Mattress! I really want to get to it sooner rather than later. We'll see how I do. I use pretty much the same method. I take a stack of require and not required reading and see what sticks and what hits the wall. Glad the second go worked for you. My next book normally depends on book club, then book tours, then maybe what I want for my own challenges. I like having it figured out a couple weeks ahead of time, it gets me excited to finish what I've started so I can get to something else. Me too! I'm trying to cut down on obligations all the way around. I got a little carried away during the summer, and now I'm overwhelmed! I usually pull the few books that are calling the loudest, then relax with a cup of coffee (or glass of wine at night!) and read the first few pages. If all goes as planned, one will be the clear winner. More wine! Sorry, that's just the kind of day it is. lol I love it when one "sticks" for sure. I read almost totally by mood. I try to predict it by setting a monthly goal stack with more than I could possibly get to that includes variety. Invariably I will at some point in the month pick something from the shelf, library, wherever that never crossed my mind when I was making the list. The list just helps me keep plodding along with the ever-growing TBR shelf, though. It also helps me to remember that most of the books sitting on the shelf waiting for me are books that I DO really want to read. :) I've also found that if I binge read a lot of mysteries, YA, lighter fiction, etc. that I have to give myself some time and gradually increase my reading difficulty before I try to jump back into reading classics. I love the classics, but I just can't go from something fast-paced to Trollope, for example. Glad you've found one that you are enjoying! I used to do the goal stack thing. It worked GREAT for me last year, but this year...not so much. Not sure what happened! And I think you make a good point about working back into heavier reading after a break. I feel that way too. I've never really tried taste-testing books, I just pick up the next one and start reading (though I will DNF if something isn't working for me). Basically I keep a TBR short list of 30 books or so, to keep it less intimidating, and then every week I glance through and see what I might be in the mood for and what's available at the library. I try to keep a decent mix of books at any given time so I have some flexibility. Sometimes I'm constrained by a schedule, like if an ARC is going to expire, or I've got a library book with a huge wait list (those I like to get back ASAP), but for the most part I just pick my next book based on my gut. I usually grab whatever upcoming book sounds the best and if it's not grabbing me within the first few pages I set it aside. I'm totally moody. I'm SO excited this one is working for you because it's so fun (and Lydia is totally smirking at you). I have definitely done the taste test with books although last week, I pulled two books off of my shelf and read a few pages of each. They both seemed good so I asked David to pick! I'm pretty sure he picked the prettier cover, but it worked! I read according to mood, unless I need to have a certain book done for a review. I start the first chapter and see how it goes. If it shows promise but not what I'm looking for that day I start another, and keep the first in mind to read next. Most times the book I keep going with hooks me within the first 10-15% on my kindle. Glad you found something to sink your teeth into. I pick books based on moods, but sometimes my schedule (ARCs) demands me to read a book that I don't necessarily are in the mood for. This is how I used to read...before I started the blog! And I miss the spontaneity! Now, I have a list of the next 5-6 books I need to read - usually based on pub dates and I'm not going by mood as much. But, I've been in a little slump lately and gotten a little burned out of the thriller genre (read too many in a row), so I need to mix things up a bit. Might try a little of your "what speaks to me" strategy. Ahhhhh I'm glad to read this, because a mutual friend of ours sent me a copy of this book, so it's sitting on my shelf, ready to read, yay! In recent years I pick books in the same way. Sometimes have the hardest time finding my next one until something really clicks.